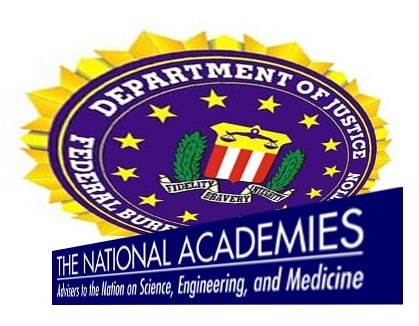 * the National Academy of Sciences has withheld all the documents produced to it by the FBI, conducting its entire study in a level of secrecy that matches the way the FBI has informed us of the details of its investigation … how infuriating this should be for any American who wants to believe that the government we support is actually working on our behalf « CASE CLOSED … what really happened in the 2001 anthrax attacks? The National Academy of Sciences withheld all the documents produced to it by the FBI — in violation of controlling law explained in the District of Columbia precedent cited below — until after there could be meaningful participation in the NAS proceeding. The NAS prevented outside scientists from submitting comments informed by the documents. The violation was with the full knowledge of the precedent — some of which even involved the National Academy of Sciences. The secrecy surrounding the FBI’s investigation of the anthrax mailings is a serious threat to our national interest. If we are not permitted to know the facts related to a vicious terrorist attack on our country that killed five people, how can we say we live in a democracy. 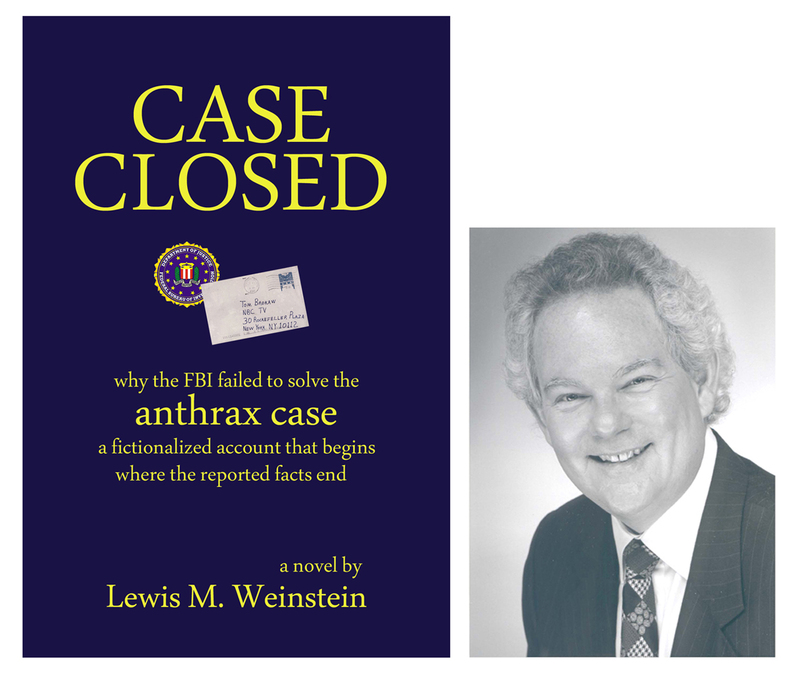 The FBI has never made its case against Dr. Ivins, and surely it is not because they really believe the facts they have released are sufficient. The rules they established for others speaking in public and for the NAS study would be more appropriate to the Soviet KGB than to a US police agency. The NAS has conducted its entire study in secret, with no meaningful input from those who know much about the case, behaving every bit as arrogantly as the FBI. There is no way for me to express how infuriating this is and should be for any American who wants to believe that the government we support is actually working on our behalf. This entry was posted on October 31, 2010 at 12:56 pm	and is filed under Uncategorized. Tagged: * anthrax science, *** 2001 anthrax attacks, *** Amerithrax, *** Dr. Bruce Ivins, *** FBI anthrax investigation, Anthrax Mailings Investigation, NAS review of FBI anthrax science. You can follow any responses to this entry through the RSS 2.0 feed. You can skip to the end and leave a response. Pinging is currently not allowed. Ed Lake is merrily developing a theory about how the up to 200 additional people with access to the matching Ames strain in Building 1412 could have merely taken material that was left for later autoclaving. Although he does not seem to realize it, Building 1412 is where the aerosol experiments were done and material left for autoclaving in a messy and uncontrolled lab setting. See 302 interviews. Ed nowhere notes that his entire theory rested on the US Attorney’s false claim that the matching Ames was stored exclusively in Building 1425 (with no mention of Building 1412) and Ed’s mistaken understanding that the genetics pointed to Dr. Ivins rather than up to 300. His theory, therefore, supports Dr. Ivins innocence, not his guilt. His theory, unsupported by any named scientist or authority, points equally to all of those (up to 200-300) who had access at Building 1412. Now, that Ed, is evidence rather than BS theorizing. It is now 15 days since NAS said they would complete their project and publish a report. Still no new update on their website on when the $1M report might be ready to be released to the public. Just as complacency led to 9/11 and the BP oil spill, it will lead to the next 9/11 attack. It is a culture of complacency that tolerates — for two years — the failure to produce documents obligated to be produced. As we learn more about these anthrax attacks, the Government will share the confirmed and credible information we have with you. If the University of Michigan researchers take millions in taxpayer dollars (funded by DARPA) to do research with virulent Ames supplied by Bruce Ivins that it is genetically identical to the attack, and your lifelong friends and medical colleagues tell me that they were openly recruited by Ayman Zawahiri and publicly are virulent anti-Israel — and you were taught by Ayman’s sister Heba who along with her brother Ayman was understandably distraught by the rendering of her brother Mohammad — there is an obligation under FOIA to provide documents related to that research. University of Michigan responded that there were no responsive documents. Then given that the research provably was done, that can only mean that the University of Michigan allowed those documents not to be preserved. That constitutes spoliation. The Government Accountability Office should subpoena them from DARPA. By not complying with FACA, the NAS prevented meaningful participation in the proceeding before it. GAO therefore should find a way to receive comments from the same scientists once they can be informed by any documents eventually produced in response to FOIA litigation. Inventors: Hamouda, Tarek et al. The present Example provides the results of additional investigations of the ability of particular embodiments of the emulsions of the present invention to inactivate different Bacillus spores. The methods and results from these studies are outlined below. Surfactant lipid preparations: BCTP, a water-in-oil nanoemulsion, in which the oil phase was made from soybean oil, tri-n-butyl phosphate, and TRITON X-100 in 80% water. X8W60C was prepared by mixing equal volumes of BCTP with W808P which is a liposome-like compound made of glycerol monostearate, refined Soya sterols, TWEEN 60, soybean oil, a cationic ion halogen-containing CPC and peppermint oil. Spore preparation: For induction of spore formation, Bacillus cereus (ATTC 14579), B. circulans (ATC 4513), B. megaterium (ATCC 14581), and B. subtilis (ATCC 11774) were grown for a week at 37° C. on NAYEMn agar (Nutrient Agar with 0.1% Yeast Extract and 5 mg/l MnSO4). The plates were scraped and the bacteria/spores suspended in sterile 50% ethanol and incubated at room temperature (27° C.) for 2 hours with agitation in order to lyse the remaining vegetative bacteria. The suspension was centrifuged at 2,500×g for 20 minutes and the pellet washed twice in cold diH2O. The spore pellet was resuspended in trypticase soy broth (TSB) and used immediately for experiments. B. anthracis spores, Ames and Vollum 1 B strains, were kindly supplied by Dr. Bruce Ivins (USAMRIID, Fort Detrick, Frederick, Md. ), and prepared as previously described (Ivins et al., 1995). Four other strains of anthrax were kindly provided by Dr. Martin Hugh-Jones (LSU, Baton Rouge, La.). These strains represent isolates with high allelic dissimilarity from South Africa; Mozambique; Bison, Canada; and Del Rio, Tex. In vitro sporicidal assays: For assessment of sporicidal activity of solid medium, trypticase Soy Agar (TSA) was autoclaved and cooled to 55° C. The BCTP was added to the TSA at a 1:100 final dilution and continuously stirred while the plates were poured. The spore preparations were serially diluted (ten-fold) and 10 μl aliquots were plated in duplicate (highest inoculum was 105 spores per plate). Plates were incubated for 48 hours aerobically at 37° C. and evaluated for growth. The experiments were repeated at least 3 times and the mean of the percentage killing was calculated. Key card records relating to Dr. Hamouda’s work with Dr. Ivins do not exist. In the first non-BEI document provided by the FBI, it was noted that a keycard access records search from 1998 through 2002 were done for visiting scientist [Tarek Hamouda] and visiting scientist [Michael Hayes,] both from the [University of Michigan] who have previously been identified as visiting USAMRIID circa May 1998. All available records were searched for names containing____________ or __________ or ______ all queries met with negative results. What the memo did not note for the record is that the key card access records only went back as far as that summer of 1998 and did not extend to May 1998. The search was not done until February 24, 2005. It should have been done in November 2001. “On February 18, 2005, an Internet author query on website: http://www.pubmed.com for [University of Michigan] scientists, [Tarek Hamouda] and [Michael Hayes] met with positive results. While I have filled in the redactions where the names would appear, I do not know the additional material redacted. The report was dated February 25, 2005. The search and the report should have been done in November 2001. “Presented in part: 98th general meeting of the American Society for Microbiology, Atlanta, May 1998 (poster A49); 38th Interscience Conference on Antimicrobial Agents and Chemotherapy, San Diego, September 1998 (late-breaker slide session II, LB-9); 99th general meeting of the American Society for Microbiology, Chicago, May 1999 (poster A300). And thus when FBI Field Office head Van Harp in January 2002 wrote to American Society for Microbiology members it was a very sensible thing to do — a sound lead to pursue under any theory. The next document produced involved grand jury material — on the same subject but extensively redacted — dating to March 2003. Its dissemination was restricted by Rule 6(e) under the Federal Rules of Criminal Procedure. Now this research was funded by DARPA and involved Ames that was supplied by Bruce Ivins to the FBI expert John Ezzell. Using a slurry that Dr. Ezzell assures me in a telephone conversation and emails and blog post was irradiated, he created an aerosol at DARPA’s request. The former Zawahiri associate was also funded by DARPA. Aerosol work was done on Dr. Hamouda’s decontamination was not only done at Dugway and Edgewood, but also at Johns Hopkins. Question: Defense attorney Dawn Cardi says that Aafia Siddiqui was applying for jobs that were below her level of PhD training in cognitive science. She applied to work at Johns Hopkins. The same year she says she spent 6 months researching anthrax as a bioweapon. To what lab at Johns Hopkins did she apply? On February 22, 2005, Dr. Bruce Ivins is interviewed about his work with the former Zawahiri associate he supplied with virulent Ames. “IVINS advised the printout of the electronic USAMRIID foreign visiting scientist which listed ____________ as a Point of Contact (POC) was errant. IVINS further advised he was the USAMRIID POC for an Egyptian male, ___________ from the University of Michigan circa ____________. IVINS advised the electronic USAMRIID foreign visiting scientist record had misspelled ______ as __________. Now we see that the former Zawahiri associate gained access to Bruce Ivins’ BL-3 lab, even though not a citizen, by an email request that was approved by ____________. Who was ________________? That is the individual who might, under a cynical view, be highly motivated to keep these facts from coming out. The fact that Dr. Hamouda was taught antimicrobials by the sister of the man who had vowed to attack the United States with anthrax upon the rendering of their brother might have been discerned by anyone looking at his university transcript. His academic record would have shown that he also had attended medical school years earlier at a time when his close friends were being openly recruited by Ayman Zawahiri to jihad in a room set aside for that purpose. Certainly, it could have been discerned by James Baker at University of Michigan in an employment interview. This is something the GAO should consider in addressing how good our governmental agencies at supervising access to BL-3 labs and pathogens. These are the agencies whose focus instead is on spending millions of taxpayer money.The problem is that scientists take no interest in counterintelligence analysis or biosecurity because it is arcane technical studies that bring in the big bucks. IVINS advised _____________ [Tarek and Michael] worked with the Ames strain of Bacillus anthracis (Ba) in the “BL-3 laboratory” for three or four days in May 1998. IVINS further advised ______ and _________ were never left alone in the BL-3 laboratory and either IVINS or __________ were with ____________. IVINS advised he does not recall whether or not _______ [Tarek] and [Michael] had their own access into the B3 suite or whether or not someone let them in. IVINS further advised the interviewing Postal Inspector and SA to check USAMRIID key card entries. IVINS advised he was not impressed with their scientific techniques. IVINS further advised _________________ were “at each others throats.” IVINS advised ________ was “a jerk” and had problems with everyone to include _________. Now, Dr. Ivins is still dead and neither Patricia Fellows [Former Colleague 2], Mara Linscott [Former Colleague 1], Michael Hayes or Tarek Hamouda will discuss the research. Arthur Friedlander faxed numerous documents (16 pages, as I recall offhand) evidencing correspondence between the University of Michigan researchers and USAMRIID, none of which was reported in the media. The interviews should have been conducted and documents should have been obtained by the FBI in November 2001 — not in 2005. Amerithrax represents the greatest failure of intelligence in American history. Ed Lake is confused on the issue of the issue of the production of documents like he was in thinking that the thx genetics pointed to Dr. Ivins rather than up to 300. He says that we “evidently feel” that the FBI should provide information from “confidential informants.”? On what basis does he make such an unsupported assumption? Lew and I are referring to the science documents provided the NAS. All the documents provided the NAS are in fact going to be provided — at least as previously explained by the FBI fellow. Ed is mistaken and has no factual basis for the claim about what we “evidently feel” and if he was competent to address the issue of the timing of the required production he would address what we actually have argued and the precedent cited (such as the GSA memo). Ed publicly advocated for 7 years that a former Battelle employee was guilty of the anthrax mailings even though he could not have possibly been guilty. I had a long talk with the fellow and he is not going to press charges or bring a civil suit against Ed. So Ed’s fears about what will be produced are unfounded. So why does Ed refer to what Lew and I “evidently feel” rather than state what Lew or I say? Because he knows even less about the law cited than the science that was equally plainly described in Fall 2008. If he didn’t make up stuff, he would have nothing to talk about. The cases are online and/or linked. If Ed disagrees with the District of Columbia precedent and GSA memo I cite, then by all means he should explain why he thinks it doesn’t apply. People disagree all the time especially where a statute’s wording is broad and the correct application of the statute requires looking to the court precedent. Here, I have provided detailed discussion of the facts of each case so they can be assessed. I am privy in great detail to the idiotic things Ed has told the FBI and I have no expectation that such documents will be produced. I certainly have no expectation that they were provided to the NAS. So he can rest easy. His chief reasoning goes something like this: You look for the person who could not have done it and then conclude that he did it because he was just a diabolical mastermind creating an alibi. It is one thing to use unprofessional labels. But Ed should get his facts right and not argue what Lew and I “evidently feel” rather than our stated position based on the cited legal authority. I asked Ed to correct his post but he failed to do so. Ed rarely corrects his mistakes — no matter how fundamental and how graciously I point out his mistakes. He argued for 6 months that the genetics pointed exclusively to Dr. Ivins even when government scientists were saying the opposite. Democratic Rep. Rush Holt defeated Scott Sipprelle, his Republican challenger, by 7 percentage points in Tuesday’s election. The former assistant director of the Princeton Plasma Physics Laboratory earned a seventh term in Congress and will represent the 12th District, which includes Princeton and other parts of central New Jersey. It was the closest race for Holt following the redistricting that preceded the 2002 election. Going into this election, he won his previous four races by margins between 18 and 31 percentage points. But Sipprelle, a Wall Street banker-turned-entrepreneur, held Holt to a tight victory this year. Although first raising the issue of NAS’ withholding of documents in 2009, Lew and posters continued to raise the issue regularly, both publicly and privately with both NAS officials and presenting scientists. Sandia, as an example, independently violated its obligations under FOIA. Hopefully, the GAO will permit comments by outside scientists who belatedly will be able to inform themselves by the documents withheld without authorization and contrary to the Federal Advisory Committee Act precedent. I’ll give Dr. J. Kiel as an example. He is an expert who unlike any of the NAS panel members actually makes anthrax aerosol simulates and has done controlled experiments relating to the Silicon Signature. At the same time the NAS withheld the relevant data, they failed to have scientists serving on the panel with the relevant expertise. If they had produced the documents, they could have received comments from true experts who actually make anthrax aerosols. “Hasn’t the entire NAS review merely served to delay production of key documents for 2 years? Is there anything under the Federal Advisory Committee Act that exempts the documents produced to the NAS by the FBI from production? (No).